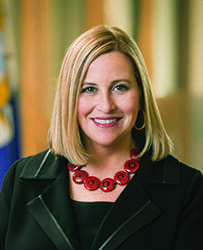 NASHVILLE, TN – Mayor Megan Barry is negotiating with The Kaleidoscope Group, a Chicago-based firm, to end racist and discriminatory hiring for city jobs, she said last week. If the firm specializing in cultural assessments and diversity training is hired, training would be mandatory for all Metro employees. The full-scale Kaleidoscope diversity program — it has several phases and lasts three years — would cost at least $500,000. “We are in the process of finalizing our workforce diversity strategic plan by finalizing the contract with the provider who is going to help us focus on equity throughout all our departments,” Barry said. MTSU political scientist Sekou Franklin says the Kaleidoscope plan is a marketing scheme that the mayor shouldn’t trust. “I didn’t see much in there about civil rights compliance,” he said. Apparently, the mayor’s about to outsource that job to a private contractor. “We want a three-year diversity plan making sure we have the recruitment tactics that are based on best practices, having measurable scorecards related to recruitment, training, retention, promotion, and all those things to make sure we have a diverse workforce,” Barry said. While the advisory committee is supposed to make the plan to diversify the city workforce, Barry is looking to use Kaleidoscope to ensure positive changes are sustained. She sees the two plans as complementary, not duplicative or competing. She says job-wise, things are already getting better. Barry cited two recent Metro reports that show the number of African Americans in Metro’s workforce increased from 26.4 percent in 2015 to 27.3 percent at the end of 2016. “So we are trending in the right directions, trying to be more inclusive,” Barry said. The Police and Fire departments increased their minority hires recently. But city-wide, things are worse today than they were when Bill Purcell was mayor. In 2007, for example, blacks made up 29.7 percent of city employees. “How do you link workforce diversity and its expansion with civil rights enforcement as it relates to employment?” Franklin asks. That’s the real challenge, he said. Even good-meaning municipal leaders fail to get the diversity outcomes they want because they aren’t aggressive enough about compliance and enforcement of civil rights laws. Good diversity officers must be innovative and forceful in explaining inclusion, Franklin said. And they must use existing laws to the advantage of the workforce. Barry met with two African American men last week . They say Metro’s been unfair in awarding contracts to minority businesses. 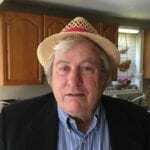 Alex Coure, a small business owner, wants the mayor to audit the city’s Purchasing Department. Coure claims purchasing showed favoritism towards Ricoh Copiers, a large firm with no minority participation in its current five-year contract worth $10 million. That contract will end in December 2017. The mayor didn’t promise to audit the city’s contracts office, but she did say she wants to know if people are cheating. “We have a focus on DBE (disadvantaged business enterprises) not just in hiring but also in contracts, so the fact that this contract is up and available gives us a chance to take a look to make sure it gets procured in a fair and equitable way,” Barry said.